Once in a while I come across an interaction with a company that is priceless. 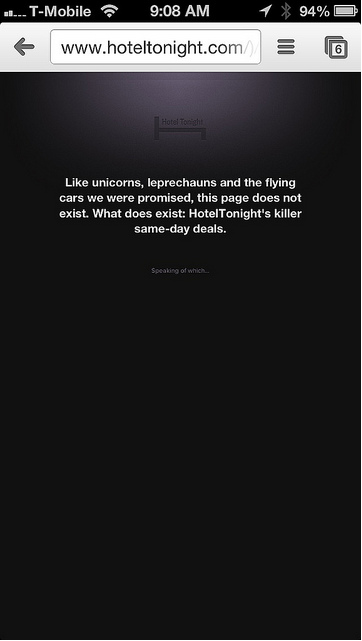 Like unicorns, leprechauns and the flying cars we were promised, this page does not exist. What does exist: HotelTonight’s killer same-day deals.